Wendy Robertson Life Twice Tasted: Our Very Own Serial Killer – Not! One of the many joys of publishing my novels on Kindle and in Paperback with Room to Write is watching my recent publications trickle out week by week. I don’t subscribe to the notion that publishing on Kindle will lead to thousands of sales but it’s still a delight for a writer to know that someone in Aberdeen or London or Tunbridge Wells is buying and reading – and I hope enjoying - my stories. If you are she or he – here is a great thank-you! So in this way it’s great to know that people are buying and reading my two latest novels Writing at the Maison Bleue and The Pathfinder. 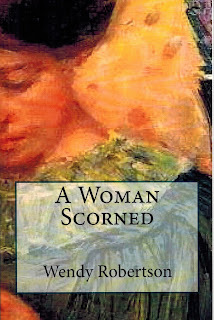 titles readers out there are now buying copies of A Woman Scorned which was published a decade ago. This marvellous development probably has something to do with the fact that subtitle to A Woman Scorned is; Serial Killer or Scandal Victim? I am aware that serial killers have something of a hold on people’s imaginations in these insecure modern times. I also note that there is to be a forthcoming TV drama based on the story of Mary Ann Cotton. I hope the film makes don’t roll out the usual stereotyped macabre melodrama which would confirm the fact that we’ve made no progress at all in our understanding of this woman and the times in which we lived. 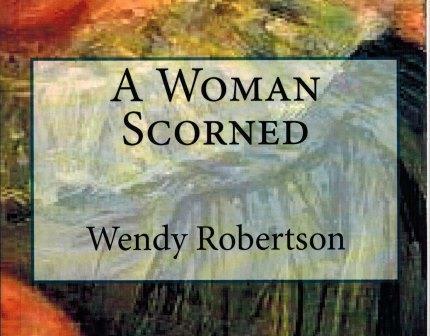 In my novel, I put the case for the defence of Mary Ann Cotton, who was alleged to have killed at least three and at most eighteen people in the mid nineteenth century. Hanged for her ‘crime’ in Durham Goal, she has become a dark legend in the north as our very own female serial killer. Mary Ann Cotton lived a mile from my house. There is even a nursery rhyme which begins Mary Ann Cotton, she’s dead and she’s rotten. I have to say that part of the fun of writing historical fiction is delving into the research. Every one of my novels has required me to get not just the facts right, but also the feeling. The facts are often easy – laid out there in histories and argued about in learned articles. Of course contemporary press reports, court data, images, diaries and letters are great for that specific 'feeling' research. This art of gathering materials to illuminate feelings and world-views of a particular time plays an important role in creating fiction around a real event. To my mind the charismatic itinerant nurse Mary Ann Cotton is as worthy of this process as Henry the Eighth. A Woman Scorned was to be a work of fiction, but inspired and informed by a detailed study of the papers the records and the real people and events surrounding the trial and execution of Mary Ann Cotton in 1873. The newspapers were a strident then as they are now. This trial became a national sensation reported in lurid terms assuming her guilt well before the actual trial. Looking for some balance I was pleased at the extent of the detail available. Newspapers, like the court and the police reports, which I also read, involved verbatim accounts where you can hear not just what people say but just how they say it. Interestingly in these Mary Ann Cotton years, Charles Dickens as a young man was a trained court shorthand writer. This is where he must have honed his ear for intricacies of accent, semantics and idiosyncrasies of speech. I had actually started to research and write this novel assuming the basic rightness of the myth. I started out feeling that the Mary Ann Cotton event could make a very good novel. But my perspective on her case changed as I read of the judgemental public pre-trial outcry and noted the idle carelessness of Mary Ann’s first solicitors who gave her very bad advice, obviously having assumed her guilt, and neglected her proper defence and even robbed her of money. I eventually realised that modern rules on forensic medicine would have blown out the forensic evidence presented here as ‘proof’ of her guilt. At one point to enable a re-examination, the viscera of one ‘victim’ they dug up out of the bare earth where they had been buried in the doctor’s garden. Unreliable evidence indeed. And then there was this very big gun was imported into the case in the form of barrister Sir Charles Russell (see my footnote *) made the long journey north to mount the prosecution of this bold, pretty woman, this outsider in a very tight old-fashioned village where deaths were common from the diseases of poverty, including the scourge of typhoid. So it dawned on me that by modern standards of justice this case was at least unproven. A Woman Scorned makes the case that Mary Ann was probably not guilty but rather was the victim of rising hysteria in the region and in the country, creating a powerful and enduring myth which put on a false cloak of hard truth. I know from response from my readers that the novel has changed a few other minds too. Perhaps you might like to see what you think? And in my heart I hope the film makers incorporate a fresh perspective on the fascinating case of Mary Ann Cotton. To give you a taste of the story here are two excerpts. The story is told through the eyes of Victoria Kilburn, niece of Doctor Kilburn the doctor central to the story. She is visiting her uncle from London and is delighted and eventually horrified at what she witnesses in this small Durham village. Like Mary Ann she is an outsider and it is she who witnesses the runaway injustice visited on this unusual and charismatic woman. … The porter had taken my hand luggage and settled me in the solitary First Class carriage. I was sitting there in secluded splendour when the door was wrenched open and a pale-faced woman peered in. She pushed a heavy bag and a basket onto the floor of the compartment and lifted a fragile boy of eight or so into the carriage. Then she leapt lightly up the steps herself and settled into the corner opposite to me. I choked for a second on the scent of fruitcake and almonds, with some kind of back-smoke of lavender and honeysuckle. She filled the whole carriage with her perfume and earthy warmth. 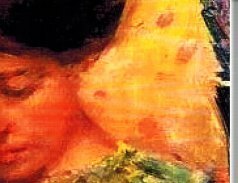 I turned to stare out of the window, but not before I’d taken in the image of a woman of thirty or so, of taller than average height with thick glossy black hair under a rather becoming bonnet. She wore a surprisingly fine paisley shawl and - finely polished although stitched and mended – small button boots. Instinctively I pulled my own boot, with its built- up instep, further under the hem of my skirt. In the silence that follows I realise that the woman is talking to me. I turn my gaze to meet the darkest blue eyes, large and shining in a perfect oval of a face. Now I see that she is actually quite beautiful, despite the workaday clothes. I want to smile and my cheeks feel hot. … After the usual pleasantries about the weather (gloomy) and our own health (blooming), Kit Dawson tells me a tale about his day sitting at Mr Chapman’s elbow in the local magistrate’s court, making notes regarding a case about two women in West Auckland who came to blows over the abuse of a washing line, and renewed the battle again in court only to be fined five shillings each and bound over to keep the peace. I shake my head. ‘Mr Dawson. To be poor is a misfortune, not a sign of barbarism.’ I regret the primness of my tone but mean what I say. Interestingly in1889, seventeen years after this case, Sir Charles Russell, Mary Ann’s prosecutor, defended the middle class Florence Maybrick against a charge of poisoning her husband with arsenic. Amongst other legal strategies he touched on some of the arguments employed by Mr Campbell Foster in the Mary Ann Cotton case. Russell seemed to be on the verge of securing an acquittal when Maybrick destroyed her own case by making a statement admitting a degree of culpability. Unlike Mary Ann, Maybrick was not hanged. She served fifteen years in prison and lived to an old age in the United States. Russell later became an MP, then Attorney General in Gladstone’s ministries of 1886 and 1892, ending up as Lord Chief Justice of England in 1894. The case has had its historians. Arthur Appleton, in his book, Mary Ann Cotton concluded that Mary Ann probably killed 14 or 15 people. Tony Whitehead, whose well documented account Mary Ann Cotton, Dead But Not Forgotten is presented in rigorous style but in the end – in my view, unable to deny the power of the myth - he almost drifts to the conclusion that Mary Ann was probably guilty in three cases.